Writing Tutor Theresa Wins Eugene Schneider Prose Competition! Congratulations to our tutor Theresa Buchta for winning the English Department's Eugene Schneider Prose Competition for her piece entitled "It Might Be a Poem About Love"! And congratulations to Theresa for having been accepted into Columbia University's M.F.A. program! The Writing Center and Phi Beta Kappa -- Perfect Together! Congratulations to all of the folks affiliated with Hofstra's Writing Center who were inducted into the Phi Beta Kappa honor society tonight! Our graduating tutor Celia Sonnier, prospective tutor Madeleine Carroll, and longtime Writing Center client Cristina Cortez were all honored tonight at the Phi Beta Kappa induction dinner for their excellence in academic achievement in the liberal arts. Thanks to all those wonderful students and tutors who helped make last night’s Coffee, Cookies and Cramming such a success! We had 55 students working on projects from all different areas, enjoying the food and drink, and just generally working companionably in a warm, supportive environment. It was great fun to meet next year’s tutors as well; they threw themselves into the mix with energy and enthusiasm. Several of our terrific tutors are busy working on a photomontage from the event. Keep an eye out for it on our website, and please come join us for our next CCC! We expect to host it again in the fall. 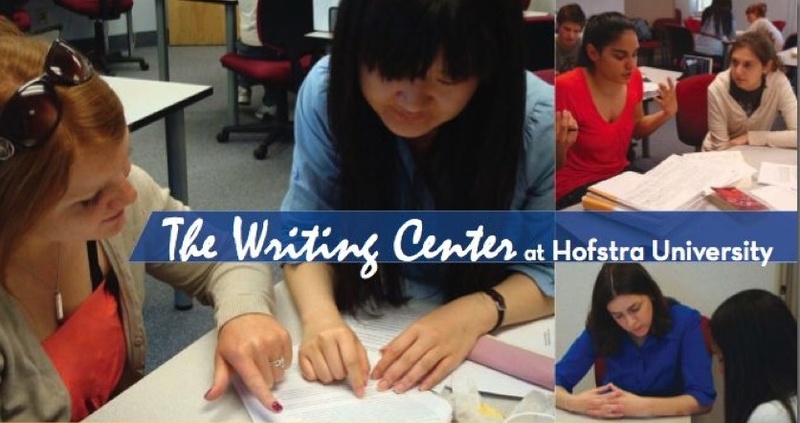 In the mean time, if you’re working on writing for any classes or for summer jobs/internships (or for any writing project), log on to our schedule at https://hofstra.mywconline.com and make an appointment. We’d love to see you at the Writing Center! 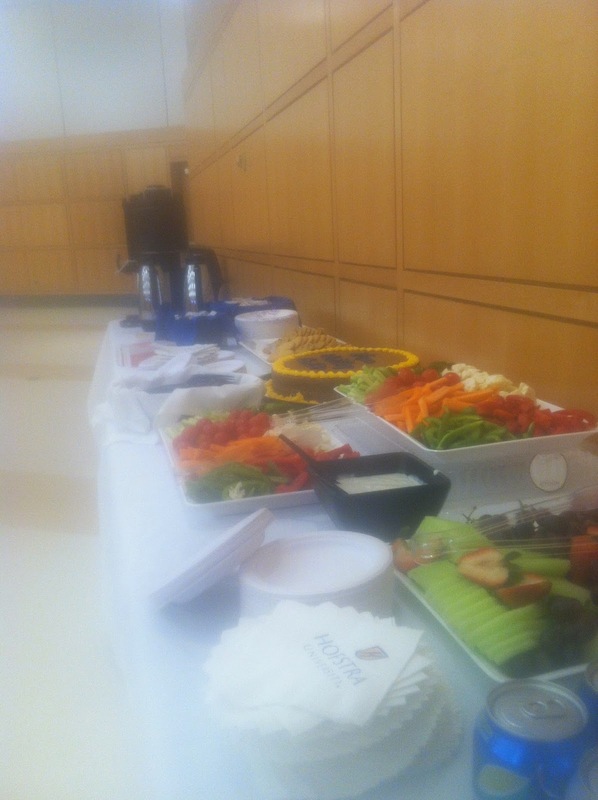 Tasty snacks at Coffee, Cookies, and Cramming IV! Don't be stressed out about writing your final papers! Instead, join us Sunday, April 19th from 6PM-11PM in the Student Center Multi-Purpose Room West for "Coffee, Cookies, and Cramming IV: A Late-Night Writing Extravaganza." The delicious snacks at CCC II last year! There will be FREE yummy snacks and writing help (if you want it) for anyone bringing in and working on a writing project. Just bring something that you need to write and your laptop and/or pen and paper. We'll provide a friendly, encouraging space in which you can get your writing projects done!